Muharram commemoration rituals have been seen by many in the Muslim world to be a divisive performance of sectarian identity displayed by the Shia community. From the outside, these traditions of mourning, chest beating and in some cases self flagellation, tend to be viewed as a Shia declaration of separation from the larger Muslim community and a cursing of the Sunni establishment. To the contrary, the original mission of Hussain ibn Ali at its core speaks to an entirely different purpose: protect the sanctity of the Prophetic legacy, and by extension the religion of Islam and the Ummah, rejecting a violent and corrupt entity claiming to speak as the Islamic caliph. The Muslim world, both in medieval and modern history, has seen its fair share of brutality, ignorance and dark age behavior. As history continues to repeat itself, another brutal character has taken claim of the position of “Caliph of the Muslims” and the Islamic world sees itself today in confused disunity in the age of ISIS. The influence of Wahhabi ideologies and the impact of Western destabilization have given rise to the worst segment of the Muslim world: ISIS, the neo-khawarij. The term khawarij refers to a group that in 657 AD broke off from the government established by the Prophet Mohammad, 30 years after his death, during the caliphate of Ali ibn Abu Talib, who Shia and Sunni scholars agree to have been the rightly guided authority on the teachings of Islam. During a war against the forces of Muawiyah, a disgruntled former governor of Syria, a segment of Ali’s army, who were later titled the “khawarij” disobeyed orders to continue fighting. This was a result of Muawiyah’s army holding the Quran on the tips of their spears to force the warring parties into mediation. In order to avoid a mutiny during the war, Ali agreed to mediation with Muawiyah’s army. For various political reasons, the mediation reached an unfavorable outcome for Ali’s camp and the khawarij rejected the terms, wishing to continue fighting. Ali’s refusal to nullify the terms of the mediation and preserve the sanctity of contract caused this group to separate themselves permanently from the State, rejecting both Muawiyah and Ali. In fact, the khawarij accused Ali of being a sinner for not adhering to their own twisted concept of Quranic principles. The khawarij formed their own identity as those who act according to the literal text of the Quran rather than through the guidance of a rightly guided leader. They were termed khawarij meaning “those who have exited.” They labeled anyone who disagreed with their viewpoint as heretics and often executed them. The similarities between the khawarij and ISIS is uncanny. ISIS is composed of thousands of fighters just as intolerant and violent as the khawarij movement of the 7th century. Most notably, ISIS rejects the institution of Islamic scholarly consensus and instead creates a self-proclaimed puritanical interpretation of the Quran. The majority of ISIS’s victims have been innocent Muslim communities, both Sunni and Shia, in Iraq and Syria unwilling to pledge allegiance to their fanatical agenda. But what does ISIS have to do with Muharram? The Prophet’s household consisted of two main historical figures who fought injustice in order to preserve the Muslim Ummah and the faith: Ali and Hussain. ISIS also takes on many of the characteristics of the brutality of Yazid, another dark character in the history of Islam. Yazid was the Caliph of the Muslim empire from 680-683 and led with a type brutality rivaling the likes of the world’s most violent dictators. Yazid’s use of terrorizing the public by crucifying people and raising their heads on spikes are mirrored by ISIS and spread far and wide over the Internet. In the time of Yazid, his method of spreading his reputation of brutality was a parade of the severed heads of the martyrs of Karbala. After murdering the grandson of the Prophet and his men, Yazid had their heads marched from Iraq to Damascus at the tips of lances. Like Yazid, ISIS uses violence and intimidation to establish its claim for caliphate and, similarly like the khawarij, ISIS takes advantage of civil war and the destabilization of governments. These neo-khawarij have made a concerted effort to gather young disenfranchised Muslims with little or no knowledge on Islamic teachings from around the world. Through the terrible outcome of the West’s “War on Terror” and the powerful appeal of high-tech propaganda, the neo-khawarij have garnered the support of thousands of fighters ranging from Chechnya to California. It cannot be overstated that the neo-khawarij projection of religious minorities as an impurity of the Ummah is a main ingredient of their recruitment. Thus, the surge of Shia prominence in Iraq, the growing influence of Iran, and the Alawi identity of the brutal Syrian regime have all served as the perfect targets and fuel for the neo-khawarij who label Shiism as a heretical pollution to the Muslim world. In the view of neo-khawarij, killing Shias represents a cleansing of the land, attracting all well meaning puritanical maniacs to the cause. If ISIS and their brutal violence is the return of a khawarij mentality, what is the commemoration of Muharram to the modern world? Commemorating the battle of Karbala and Imam Hussain’s final stand against the corrupt leader of his time is a universal Islamic symbol of upholding the ethical and humanitarian traditions of the Prophet Mohammad over the brutality of tyranny and lawlessness. Where as some fringe Shia leaders and communities tend to use Muharram as a sectarian fist pumping party to bash the Sunni world, communities of consciousness should strive to commemorate Muharram this year with a new understanding of both historical and modern context. In that vein, it is important to realize legacies of the 12 Imams, were as advisors and teachers to the larger Muslim community regardless of that community’s view on the authority of the Imams over the Ummah. The Imams consistently influenced temporal leaders, religious scholars and other major thought leaders of the time. Thus, the Ahlulbayt were a source of commonality and a safe space among the Ummah and in the modern context, the Ummah should continue to use the example and the leadership of the Imams as a unifying force. Additionally, the recent fatwa of Ayatollah Sistani on the issue of ISIS should serve as a contemporary example of anti-sectarianism. Whereas Sistani could have easily incited his millions of global followers to all-out war against ISIS and their supporters, he encouraged a cooperation of Iraqi citizens of all religious and ethnic groups to unite against the attackers threatening Iraq. Ayatollah Sistani’s fatwa points to an important fact in understanding the fight against ISIS, one does not have to be Shia to fight against ISIS. ISIS’s illegitimacy is known by the majority of Syrians and Iraqis among across sectarian and religious lines. 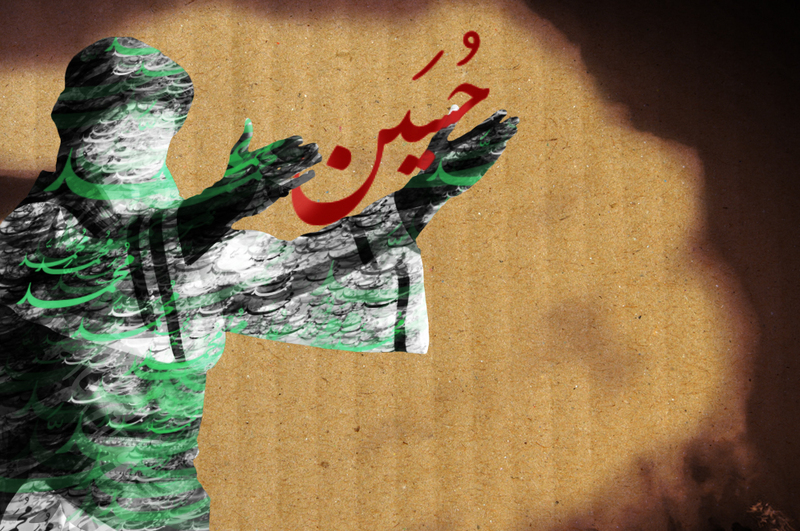 Sistani’s fatwa addresses the masses to defend their country against an ideology of darkness. Furthermore, it is a reminder to the Muslim world that waving flags, wearing beards, and reciting Quran does not give legitimacy to political movements. In such critical times mourners should evaluate how Muharram portrays Shiism to the larger Muslim community and how Shias can improve on preserving the legacy and memory of Imam Hussain. 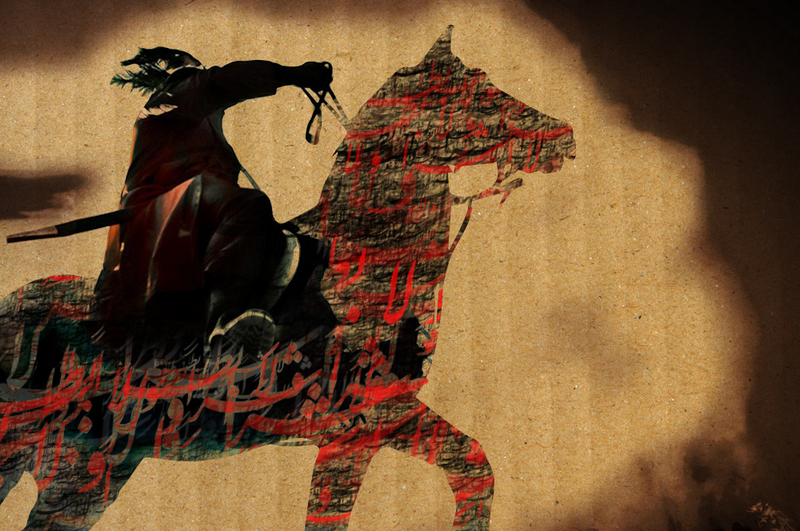 Imam Hussain stood not to create a sect, but to uphold righteousness against tyranny. In the contemporary, just as Shias claim to be the followers of Imam Hussain, their identity should be aligned with upholding justice for humanity and not just for those who claim a particular sect affiliation. If actions speak louder than words, Shias should try their best to clarify what their actions are meant to communicate to the world. Justin Mashouf is critically acclamied Muslim American filmmaker based in Los Angeles where he works in television news and independent film. Justin works extensively on the topics of social justice, identity and Muslims in America. Great idea and viewpoint. I agree that this is the time to show solidarity and more compassion than ever between the mainstream Sunni and Shia, and detest the ISIS. We echo that Agha Seestani called for unity and said that Shia should not only call Sunni their brothers , but address them are their own souls!! The forum of the Muharrum majlises are important arena for such unity.